The paper offers a supplement to the author’s treatment of the oldest/prehistoric layer of Polish toponymy as exemplified in his 2001 book. Northern Mazovia, to which the present investigation is restricted, was probably Slavicized at a later date than the area situated between the Vistula and the Oder. This is evidenced inter alia by a relatively dense Pre-Slavic toponymic substratum, visible above all in the hydronymy of the Narew drainage basin (at least 40 instances, including 16 new). These names appear unclear and peculiar from the Slavic point of view (a salient lack of lexical and/or morphological motivation in the reconstructed Slavic and historical Polish, particularly striking in case of compounds). Attention is focused mainly on the reconstruction of the Late Common Slavic forms of these names, while their etymology is as a rule not discussed. Their proto-forms have been reconstructed as *XaxъluZa (? ), *Dusveta, *(J)aboraZ-, *Kupǫsь (masc. 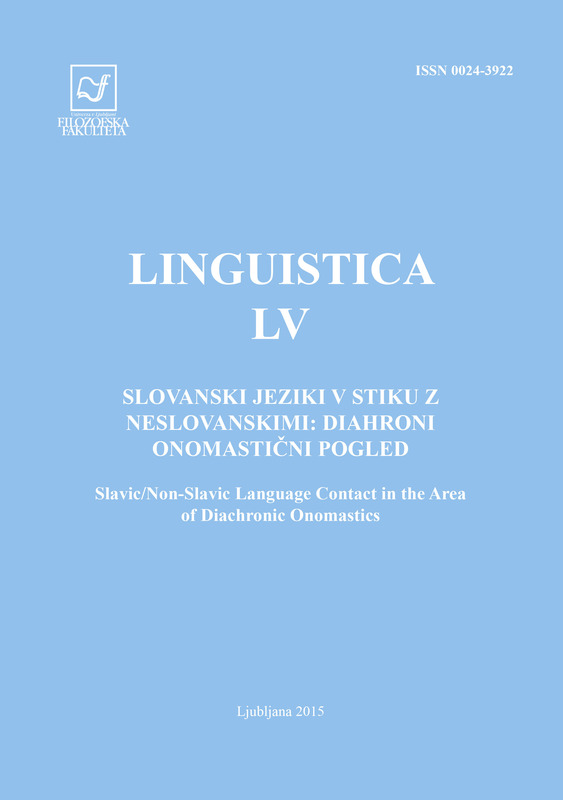 ), *Ľutostanь -i, *Manьkanь (3x), *Nuna ~ *Nona, *Og(ъ)lęda, *Rudoky -ъve, *Siryga, *Sona, *Šimošarъ, *RExostanь -i ~ *ŽExostanь -i, *Ružь (2x), *Valęda. These substratum names come probably from Indo-European languages used in that area in Late Antiquity, possibly forming a transition area between Baltic and Slavic. It can be shown that in many cases (vocalism *a < *ā) an Old Germanic intermediary must be ruled out.